United States citizens require a visa to visit Russia. Here are some tips to know about getting your Russian Visa. 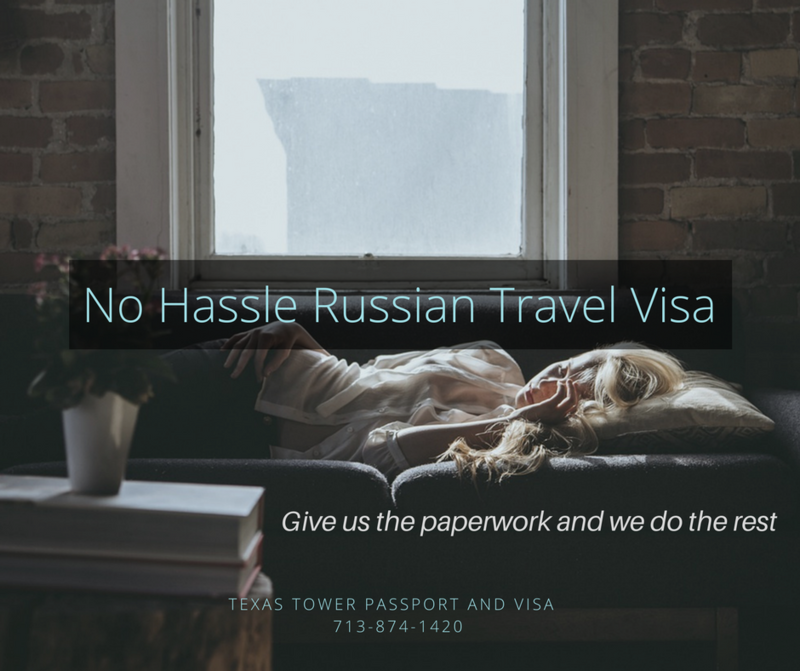 Our Houston office can expedite your Russia visa for any of the four main reasons for entry to Russia. I thought all the Russian Embassies closed? A number of them did. The Russian consulate in San Francisco handles work from seven states in the Western United States. There are three other Russian consulates separate from the embassy in Washington. They are in New York, Seattle, and here in Houston. Will I have to go to the Russian Embassy to get my travel visa? Yes, the consulate stopped processing visa applications by mail in 2010. You can outsource that task to us. What types of visas are available to enter Russia? business, private, humanitarian, or tourist. How Long is the Maximum Stay? The maximum allowed stay on a visa is 90 days. Your visa will require that the exact dates of your arrival and departure in Russia are included and generally your departure date may not be extended. That is an acronym for Otdel Viz i Registratsii or Office of Visas and Registration. You must register with OVIR if your stay in Russia is going to be longer than 72 hours. Most hotels offer this service. Your passport expiration date should be 6 months after the completion date of your trip to Russia. You will also need 1 blank visa page. We can do the legwork for you taking your paperwork to the consulate as well as getting any necessary documents translated as needed. Get started here on your Russian Travel Visa. Have any questions about getting your visa for Russia? Contact our offices today 713-874-1420, one of our professionals will be happy to answer your questions.